Josiah Robert, you are changing every single day and we’re treasuring every moment with you. You are rockin’ out the charts in the 90th percentile – you LOVE to eat & are apparently really good at it. You’re so strong. 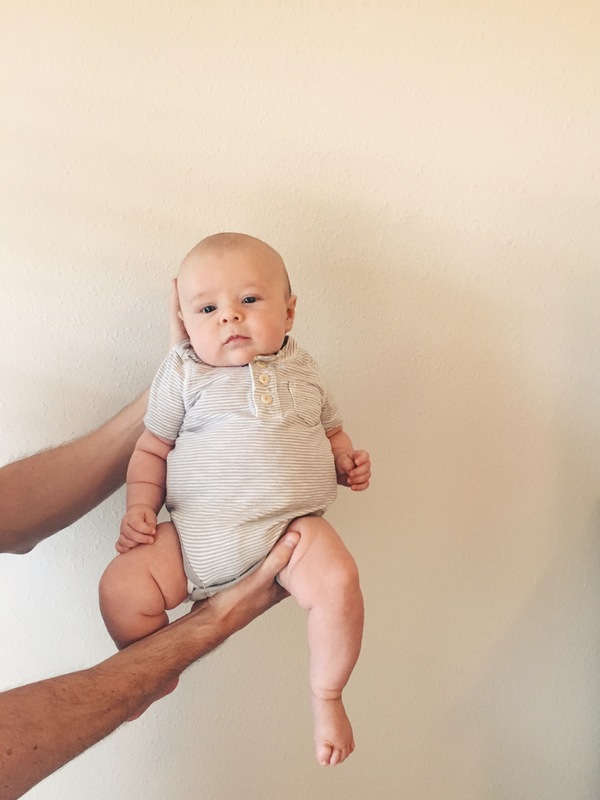 We’ve known that since you were born and you lifted your head the second they laid you on me – but we see it more and more every day. From day one I prayed that you’d grow up to be strong & courageous. You’re proving that you are headed in that direction every day. You make us smile & laugh & we love life so much more with you in it. all smiles in the morning. Every single morning you wake up happy. You lay there with your eyes open and talk or grunt until I get up to get you. The second you see my face and I say “good morning handsome!” you LIGHT UP. So many smiles and happy eyes & my heart melts every time. 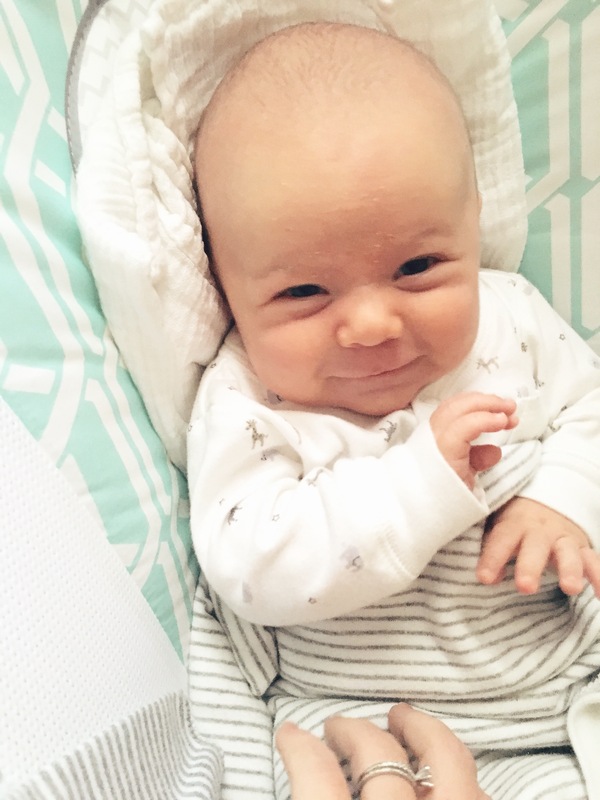 Daddy usually rolls over and joins in the morning smiles. We start every day with full hearts because of you. finally earned our first wings! You flew for the first time and did so well. 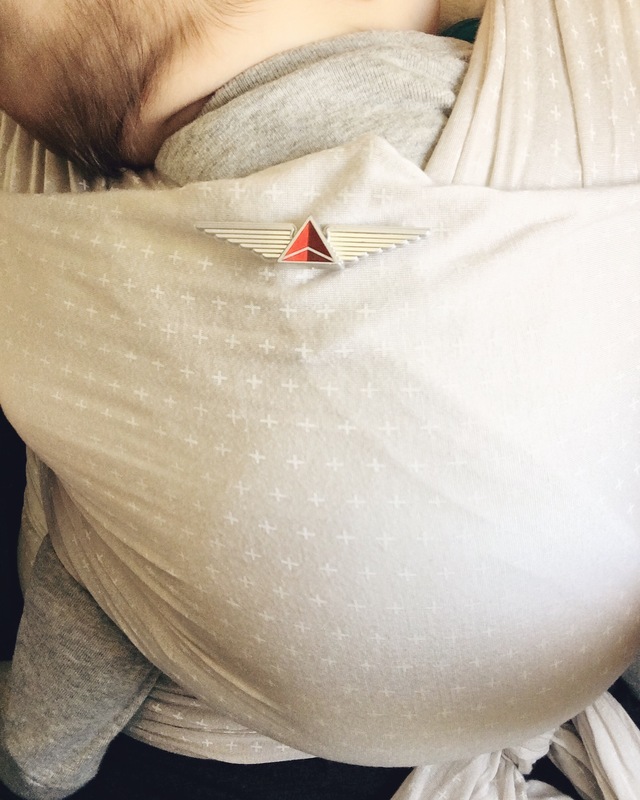 You love flying while wrapped up close to mama & sleep so well on planes. You even smiled & were happy while we were changing your big ole’ blowout on the plane. You’re lucky you’re so cute! My little adventurer, we love simply doing life with you. From the normal days of loving you to the adventurous ones and days filled with “firsts” – we love them all. I’ve said it before and I’ll say it forever.